We’d love your help. 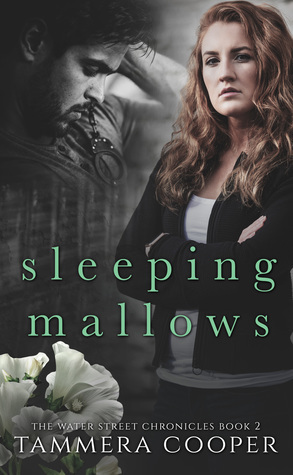 Let us know what’s wrong with this preview of Sleeping Mallows by Tammera L. Cooper. A river overflows with secrets and ghosts of the past… Will it reveal what they seek? The day the Pearse woman was pulled from the river, Deputy Tim Whitaker knew this was a make or break case. He worked his whole career cracking the hard ones. Why can’t he catch a break? He should have known it might get complicated with a much-loved local as the primary suspect and a seco A river overflows with secrets and ghosts of the past… Will it reveal what they seek? The day the Pearse woman was pulled from the river, Deputy Tim Whitaker knew this was a make or break case. He worked his whole career cracking the hard ones. Why can’t he catch a break? He should have known it might get complicated with a much-loved local as the primary suspect and a second man that everyone has seen but no one knows. All he needs is one clue, one thing to bring her closure. Captain Savanna McCormick needs closure - the kind she provides for other families thanks to her partner Max, her K9 cadaver dog. Too bad she can’t get her own. Her parents’ disappearance may no longer be a newsworthy item, but the still-open case is always on her mind, especially now she has custody of her younger brother. Chaperoning a field trip forces her to confront her worst fears; returning to Washington, NC where her parents were last seen. To ask other readers questions about Sleeping Mallows, please sign up.